Digital Marketing Specialist, and Christine Battin, Business Solutions Analyst at Weiman Products LLC, describe how Gravity Flow was used to replace spreadsheets and emails with a reliable workflow which cut the process down from months to just a couple of weeks, saved on costs, and improved employee engagement. 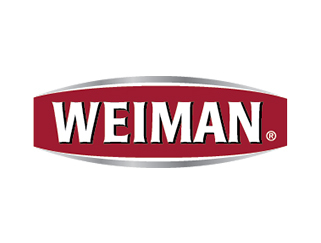 Weiman Products is a specialty cleaning products company headquartered in Gurnee, IL, outside of Chicago. The consumer division is made up of 7 brands including well-recognized brands like Weiman and Goo Gone. The Healthcare division is the leading supplier of private label cleaning and care products for surgical instrument decontamination and preservation in the USA. The company has experienced 36 straight years of growth. Findout what career offer is best for you read more. Multiple versions of Excel spreadsheets were causing inconsistent and unreliable Master Data. Lack of transparency around the entire process. Unclear responsibilities for data input and lack of accountability for changes. The entire process was taking too long and was a drain on employees’ time and energy. The objective of the project was to ensure that each department could “vet” data and changes efficiently before it got transferred to the master database. For each new Stock Code we create we need multiple fields filled out by multiple departments. This was previously done with Excel spreadsheets and multiple versions would end up being sent to different people until it was unclear which one was the most up to date – if indeed any of them were. So we created forms that contain all the fields in our Master Data Database allowing us to consolidate the data more effectively and efficiently. With Gravity Flow we can now make each entry available to all of the departments at the same time so that they do not have to wait to fill in their fields. This cut down the time to create the Stock Code in the database from two months (or more) to two weeks. It also allowed us to establish stage gates so that we can collect estimates of the data for use in marketing and then collect the real data, vetted by the appropriate people before it gets into the Database. Since Gravity Flow allows us to have only the fields that each person is responsible for editable, it’s increased the integrity of our Master Data significantly. The new workflow saves us money by cutting shipping fines and time and now the people trust the data in the database again. Finally, the Gravity Flow API allowed us to develop our own custom workflow step very easily which sends the data to a CSV file and uploads it automatically into the database at the appropriate point in the workflow, streamlining the process even further. If you’d like to find out more about how digital processes can help make your business more efficient, please get in touch.